Emma our animated helper will share the beginning of her flower essence journey by telling you about what essence she chose. Her journey will then continue on this page. 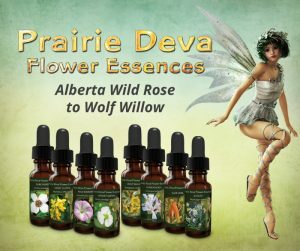 To Buy Flower Essences and Mushroom Essences, Go To Our New Store. I took Sclearnathus, a Healing Herb, English remedy, for indecision, four times per day, four drops per time, orally. I was asked to create a sacred space while I do this, a little place away from time, where I can concentrate on the elixir dropping from the bottle onto my tongue, like a seed planting in my willing soil. The first time I take it I notice a bit of a headache, like something new is trying to get in and my brain is resisting. I don’t really like it, but I persist. For the first few days, I don’t feel much, maybe a little more irritable. I still don’t know what I’m going to do. My pattern of indecision has not broken. On the fourth day, I have a dream, and I notice that in the dream I am telling the truth in a very deep way. This is something that scares me in real life, but I feel amazingly free after the dream if only I were so brave in waking life. For the next few days I am still stuck in waking life, but I notice when I avoid the truth even in little ways I start to feel agitated like something is trying to come out of me, memory fragments from that dream of telling the truth tug at me relentlessly. That darn headache comes up every time I hold back. The next few weeks are like a roller coaster. One minute I am calm and things feel normal, and the next minute I want to scream at people, especially at work. Can’t they figure things out for themselves? What am I their mother? On day 22 of the essence journey, I have another dream, the type of dream that feels so real I can’t shake it. In the dream, I quit my job and am working for myself. I feel so relaxed and patient. Hmm. I wonder. Day 23 it is all very clear to me. I need to talk to my boss. I would like some changes in the way I work and I know exactly what to ask for. I am also o.k. if she says no and I need to move on. I can feel a great lightness in my body, as I confirm to myself that I have some clarity. Day 24. I meet with my boss. She is stunned that I feel as I do but is very supportive. She gives me some of what I asked for and right now that feels like enough. I feel elated. I decided to give an old friend a call. I feel like celebrating like I have taken back some choice. I don’t know if this is all because of the essence, but something has shifted- was I really ever that paralyzed and afraid to make a decision? A customer had difficulty sleeping due to a compulsive mental list making tendency at night. She tried the flower essence of white chestnut and found it calmed her mind considerably. Her sleep was not perfect but improved. A cat was acting aggressively toward a new kitten introduced into the household. The flower essence of holly was used to help the cat get over her jealousy. Her behavior modified within a few days. A middle-aged woman who was unsure what to do in the next stage of her life was searching for something meaningful. She took wild oat and experienced insights that were surprising and life-changing. She journaled the insights and acted upon them with her own free will to create lasting change. A youngish woman who kept creating co-dependent relationships and couldn’t seem to do better, even though she knew better, found that bleeding heart released her from this very painful pattern. A student, fearful of many known things tried mimulus essence, during a flower essence class and with the help of the essence and increased confidence from her classes started challenging her fears and reported feeling much braver. For flower essences, the problem presented to the staff is more psychological and emotional. Customers are frustrated because many things they do or take, are not getting to the root of their problem, and they complain to the store owners or lament about personal patterns. Sometimes being a store owner is a bit like working as a counsellor, because people reveal what is bothering them. Wholistically trained staff and customers are no longer satisfied with glossing over issues and instead want relief and change. Can the essences help this? Sometimes yes. Dr. Bach the original developer of flower essences, was a successful medical doctor in England about a century ago. 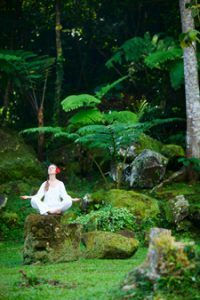 He was dissatisfied with his medical practice, because no matter how many broken bones or surgeries, people kept coming back with other problems, which he felt stemmed from an unhealed part of them that kept manifesting in health symptoms. He felt doctors like himself, could keep treating the symptoms, but until the underlying issue of what was broken was identified, the cure would not stick. As a medical intuitive he was able to determine the vibration of plants and test them on various people to see their effects. He found essences that worked for him and developed the 38 Bach healing remedies. Our brand (Healing Herbs) is the 38 essences he developed and they are still popular today. Today, they are made by Julian Bernard in England and Wales in the traditional manner developed by Dr. Bach. He felt this mild, affordable system helped relieve the deep-rooted, soul issues that were the real cause of distress. Most store owners do not have the time, or knowledge to work with each customer’s deep issues, but they do sense that there is something deeper to their customer’s complaints. 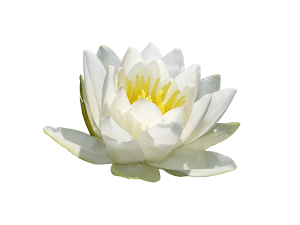 Many health food store owners who have been in the business for a long time are familiar with a few flower essences. They may also see the advantage of having a flower essence counsellor work in the store every two weeks or so, to have appointments with these customers. The counsellor charges for the appointments the store sets up, and the flower essences sold, adds profit to the store. These customers are interested in deepening their personal understanding and working with their own mental cycles, without introducing drugs. They may know that what they are going through emotionally or mentally may be painful or uncomfortable, but is not unnatural and does not need medication. This philosophy is often attuned to the natural store owners, who sells a more self-managed approach to health. Flower essences can help with awareness around natural cycles. Each essence may evoke a different response. For example- white chestnut taken orally may relax the obsessive thought cycle that can creep in at night when we are trying to sleep, which is a natural, but disturbing result of having a busy life. Agrimony may help those that are stoic and deny all problems, often self-medicating with alcohol or drugs, to recognize where in themselves they are holding back and maybe start to see another truth.